It was a biscuit that did it. Reminded me, of my ‘gap’ year, Yorkshire style. Anachronistic to call it a ‘gap’ year, really, the term hadn’t yet been coined. Most folks going to university went straight there – unless they were sitting entrance exams for Oxford and Cambridge. You could sit them in late autumn, when the final school exams were a painful memory, if you wanted. String out the ‘now turn over your papers’ torture. So, from late December I had a ‘gap ten-months’. Free – to do what? Fashion drove me. I wanted clothes – lots of clothes. Brown, with touches of cream and orange. And platform heels, of course. But to fuel my fashion appetite I needed money. Which meant finding a job. Where better than a department store? Brown Muffs of Bradford. Smart, carpeted and calm. Except at Christmas. In the gift wrapping department. The only gift I remember was a thermometer bought by an old lady. I felt sad. What would the recipient think? Why did she spend money having it wrapped? Steep, narrow, staff stairs led up the back of the building to our café. In my Scholls wooden sandals I perfected the tip-toe clatter up, the toe-clutch down. I lost weight and gained an admirer. A shop-worker by day, he was a poet by night – a good one, I thought. But then, I was flattered. It came to an end with Christmas. So, new year, new job. ‘Relief assistant housemother’ in children’s homes. Most homes were run by lone women, ‘aunties,’ all of us. I had no training. At one home where I was a frequent relief, so to speak, the housemother (top aunt) was a wrestling fan. One time she left me in charge all night. I was a tad worried. After all we had a bed wetter, a fire starter and a habitual liar. But we survived. And my mum came round and sat with me till bedtime. But underlying the many joys was a deep vein of sadness. The dad who visited and brought his little boy cheap – horrible – sweets the boy pretended to like. Three gypsy children – one prone to fits. Their parents left behind fleas behind when they came calling. And worst of all, the people who came to ‘view’ children for possible adoption. It was when that job came to an end that I resorted to blood, a memory revived by a tin of Fox’s biscuits. Instantly I was skipping in the school playground. The Fox’s factory was – is – in Batley, Yorkshire. Batley was arguably rather grim in those days. An array of factories puffing out soot – and who knows what else. Eartha Kitt reputedly loved Batley so much she bought a place there – I doubt that’s true. But they did show her on TV – along with the tripe and vinegar stall at the market. Why was she in Batley? The famous Batley Variety Club, of course. Somehow this back-of-beyond cabaret venue pulled in mega stars like Louis Armstrong and Shirley Bassey. I saw the Supremes (OK, it was just after Diana Ross left). The Four Tops stood behind me, one of them leant on my chair – swoon! One of my school-friends who lived in Batley suggested I found a job in a factory. 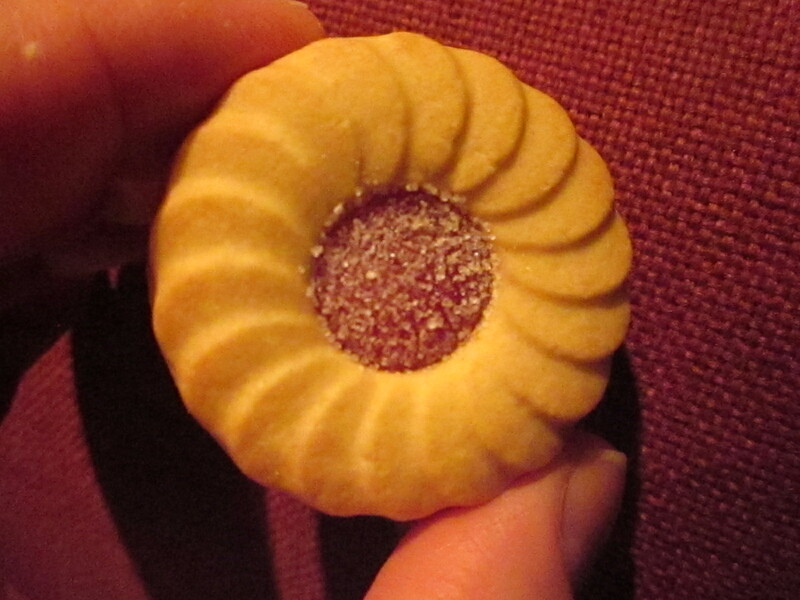 Now, Fox’s was the crème de la custard cream of Batley factory world. But if you left it too late, as summer came around, you’d end up at Howard Lloyd’s. And I’m always late for everything. You couldn’t be late for the factory. I caught the bus to work, early, pink nylon overall in my bag, wearing old jeans and sensible shoes. I learnt to stick my card in the clocking-in machine. Learnt to rush from my seat the instant the claxon sounded. Learnt not to answer-back the charge hand, Betty. ‘Pack yer tubes!’ she’d yell, her head clustered with small rollers under a dark brown hairnet. In those days ladies’ lavs had incinerators for ‘sanitary towels’. One day it was struck by lightning. Left smouldering more than usual. Overflowing as usual. Every break-time a trolley came out laden with white bread spread with dripping – not a taste I acquired, for reasons you’ll soon understand. Because it was the ‘blood days’ that did for me. Pouring from the ceiling in a pipe. The blood went into a barrel, then into bottles. The tops were put on by hand and tightened by a machine. They broke if they went on askew – and then the belt would stop. Betty had a voice like an angry bull, when she wanted. If we didn’t do the bottles quickly enough the blood barrel would overflow and whoever was fitting caps would end up standing in it. In a frothy pool of congealing blood. Dark, sticky, unhealthy-looking Dr Hommel’s Haematogen. It smelt disgusting. People took it by the spoonful, if you believed the label. On the bus home I imagined people were staring at me. Not because they knew the dark stains on my Hush Puppies (standing all day) were blood, but because I smelt of it. It wasn’t my imagination. 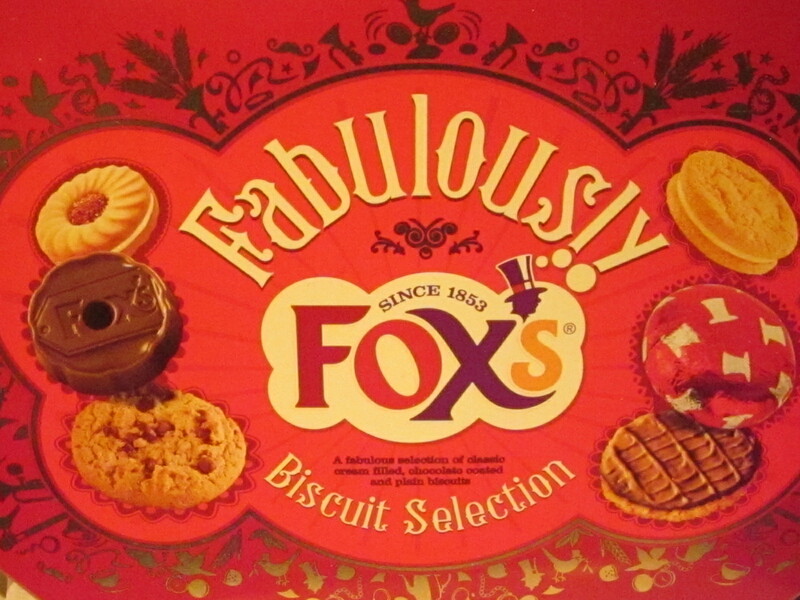 A (punctual) friend working in Fox’s told me that on our ‘blood days’ the fans would be turned off to keep the taste of the smell out of the biscuits. Just don’t think about the frothy, dark-red blood congealed in a pool on the floor. This entry was posted in Yorkshire and tagged Batley, Bradford, Brown Muff's, children's homes, Eartha Kitt, Fox's biscuits, Howard Llloyd's, jammy dodgers, Louis Armstrong, Scholl's sandals, Shirley Bassey, the Supremes. Bookmark the permalink. That blood sounds bad… Much worse than cod-liver oil. Do you think the factory would pass the health check now? Definitely not! Just after I left another rainstorm flooded the place and cardboard boxes were floating around as the ‘girls’ sat on the conveyor belt. I suspect it didn’t pass the health check even then! I only stood it for 2 weeks, really couldn’t stand the blood, but it was interesting. And made booking in jobs at the North Eastern Gas Board (my next ‘holiday’ job) immensely enjoyable by comparison.